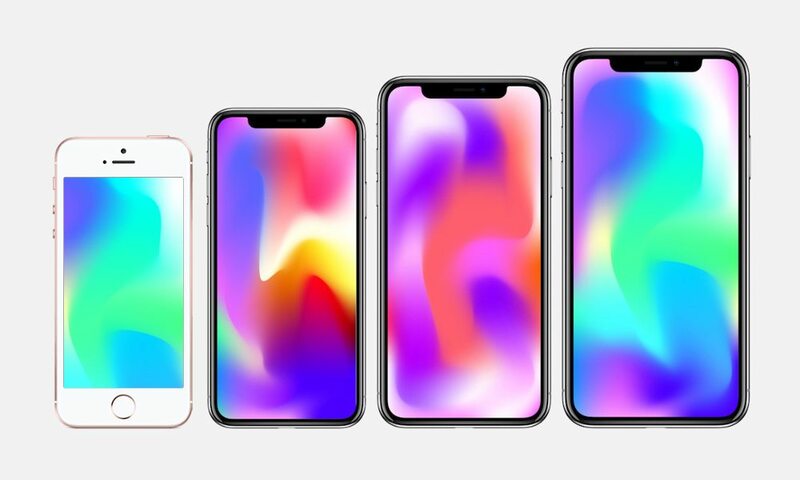 Presumably, if Apple applies that naming scheme across its entire lineup of 2018 handsets (which might include a refreshed 4-inch iPhone released in the next few months), then this year’s lineup could look something like this. 2018 iPhone X Plus – 6.5-inch OLED display. This is a prediction that’s been made by a couple of market watchers over the last year. First, by Ashraf Eassa of The Motley Fool last October. And more recently by Guggenheim analyst Robert Chira just this week. There’s a precedent for this, of course. Recent generations of the company’s tablet lineup are simply dubbed “iPad” or “iPad Pro,” depending on the model. The two iPad Pro devices are further differentiated by size. Apple TV devices are similar. And, of course, Apple’s various Mac devices have used this strategy for years. But is this even a good idea? Here’s why we think it could be. Perhaps more than anything else, the naming change would result in much simpler branding. The more minimalist moniker strategy pretty much speaks to Apple’s wider aesthetic and design philosophy. As stated earlier, the moniker change would bring the company’s flagship handset series in-line with its other products. As far as how subsequent generations of Apple devices are named, the iPhone is kind of an outlier at this point. It could also help the Cupertino tech giant do away with the naming conundrum it introduced in 2017. Rather than debut an iPhone 7s, it decided to skip the “s” suffix and just call its 2017 LCD smartphones the iPhone 8 and iPhone 8 Plus. And, when you think about it, releasing an iPhone 9 and an iPhone XI (11) just seems kind of clunky by comparison. Critics of Apple and its products will probably hate the change. But, when you look at it, there isn’t much reason to denounce the new moniker strategy. On one hand, it could cause confusion for consumers between yearly releases. That might be a problem because, unlike iPad or MacBook devices, consumers typically upgrade their smartphones more frequently. Starting this year, saying that you own an “iPhone“ could get muddled pretty quickly. In other words, any reference to future Apple handsets would probably have to include the year it was made — “2017 iPhone X” or “2018 iPhone,” for example. This could also be a problem when users are looking to buy or sell used devices — particularly if iPhone owners forget which year they picked up their handset. Still, when you get down to it, the name change isn’t really that big of a deal. And it might be even a good thing for Apple’s branding. Calling an iPhone an “iPhone” is a pretty declarative statement by itself. And it could help Apple’s products differentiate themselves from competing Android devices — many of which currently use numbered monikers. In other words, any downsides could be easily mitigated — and those “problems” aren’t anything that the company’s devices haven’t faced before. All in all, it’s probably a long overdue change. And, in our opinion, one that’s probably for the best.